Few people know exactly what inspires them and makes them happy from the get go. Sometimes it takes years of focused effort to finally find out who you are and what you love — and it’s that journey that fosters artistic growth. That’s Judith Reilly’s story, the artist who discovered her love of painting with thread on a canvas of cloth, after many years of creative exploration. When she started, Reilly turned everything she could get her hands on into arts and crafts. She didn’t consider herself an artist at the time, but sewed, tailored, baked, weaved and threw clay, crafted dolls and puppets– and much more. The world became her creative outlet. 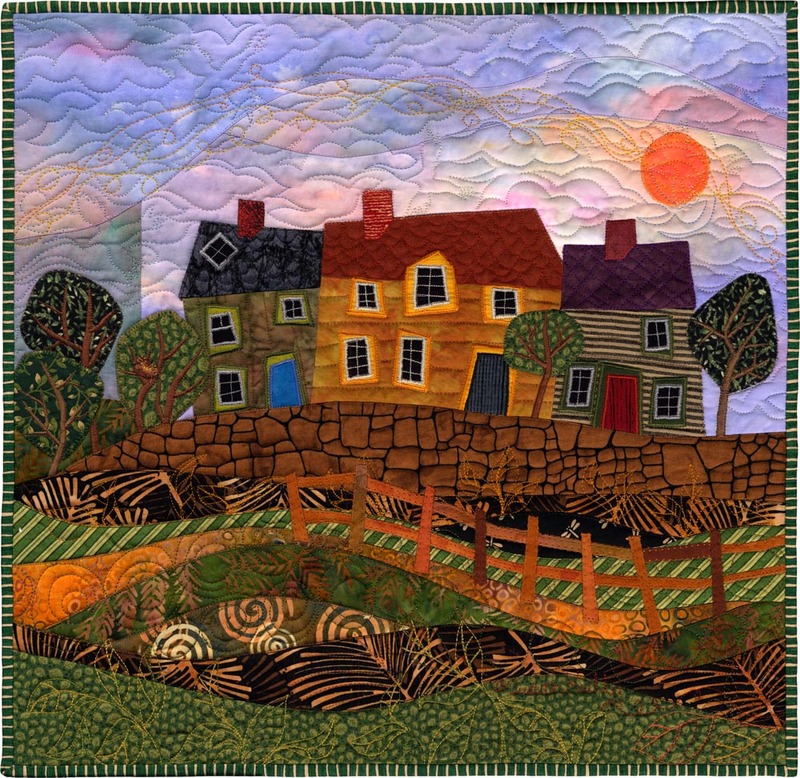 One avenue of her artistic explorations was traditional style quilt-making, which inspired her love for fabric art. This became her area of focus and passion. But, as she entered her 30s, it seemed as though Reilly’s work in fabric would come to an end. She became ever more frustrated with traditional quilt making. Making block after block of block quilts was simply too tedious. What at first had stoked her competitive fires was no longer enough. She needed more creativity, but had no inspiration. It was the birth of her son in 1979 that gave Reilly what she needed. She found that she never had more than 10 minutes alone to herself, and she needed to focus on an art form that was easy to pick up and put down at the drop of a hat. Fabric art fit the bill, so she needed to find a way to make it more fun and interesting. She needed to make it her own. New techniques came from her interest in studying other art forms. 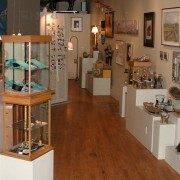 “I love to take classes from other artists in a medium not my own. 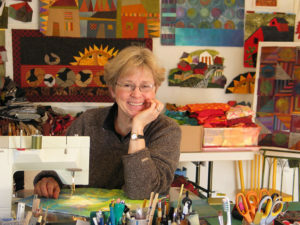 Astounding ideas have happened because of it.” Those ideas also helped her develop a mix of traditional and new techniques in fabric art. Reilly’s work often depicts scenes common to Vermont — wooded farms and small communities. Creating angles in the architecture of the buildings in her pieces gives the pieces a feeling of being in motion, and to her, a feeling of life. She will tell you that it’s that life to which she connects most strongly. Finding her voice may have taken some time, but it’s an experience Reilly would trade for nothing. While putting together her first retrospective, she realized that her personal growth as an artist had taught her many valuable lessons. She decided to distill those lessons into her series “Twelve Life Lessons for Creativity.” And armed with her life lessons, Reilly has found her voice, and continues to breath that oh-so-important life into her art.